3 Mini Reviews: Costumes, Content, and Posters. 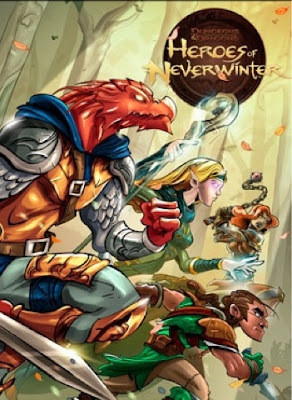 Today we have a fun trio of goodies to look at, including a free system for your superhero needs, a magazine of content for OSR gaming, and a poster handout for your next Pathfinder session! HiLo Heroes. Jeff Moore. 36 pages. Free. Ahh, Jeff Moore. If you check his page, he has maybe a half-dozen (maybe more now) mini-systems freely available for download, and most of them are actually worth your time if you're ever looking for a quick, simple system for some beer and pretzel gaming. HiLo Heroes is no exception. In fact, it may very well be the jewel in Jeff Moore's crown of game systems. It's simple, uses the readily available d6, and does almost nothing to limit the variety of superheroes you can create. To create a character you need only specifiy three features: Build, Mentality, and Temperament. Each has two options, high or low, and those two options influence all your other abilities. 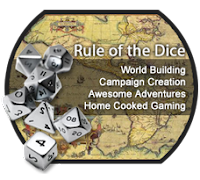 It all boils down to rolling 2d6 and using either the higher die or the lower die. Hey all! It's been a while and, unfortunately, I don't have as nice an excuse for my absence as C.D. had (congrats on the little one, C.D.!). Mostly a new job with a revolving schedule that has sucked my gaming time dry. And with my gaming time so goes my writing time. But now, as things begin to settle, I'm going to crack my knuckles and try and get some kind of regular writing habit going again. And even though I haven't been running nearly so many games, I've been unable to convince myself to stop buying gaming goodies. And since I like to spread my thoughts (much like Yellow Mold or Green Slime) about what I buy, I thought it'd be interesting to do a semi-review of some of these roleplaying related products, whether they be full games, expansions, or whatever I decide to spend my hard earned money on. What Does 5th Edition Mean to Me? As you may have heard (and if you didn't, welcome to the Internet fellow gamer! 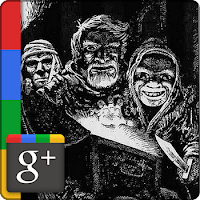 ), the 5th Edition of the World's Most Famous Roleplaying game is definitely in progress. At least according to Wizards website. And everyone has an opinion about it, with a lot feeling that Wizards didn't give enough support to 5E, a lot feeling that this will be just as bungled unless they do this or that. I have thoughts and opinions on it as well, but why add to the mess of sound when it would just be redundant? Instead I had to ask myself, what does this mean for me, a gamer who got into roleplaying well after 4E had come out? I mean, I'm a spring chicken compared to most gamers. I didn't cut my teeth with 1st or 2nd Edition rules. Heck, I only had a passing knowledge of 3rd Edition thanks to the D&D PC games. And though I got into roleplaying at what might be called the height of 4E's popularity I never really took to the 4th edition ruleset.